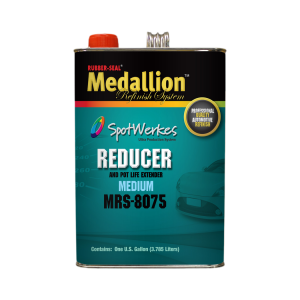 SpotWerkes Accelerated Reducer Medium is formulated for the SpotWerkes Acrylic Urethane Clearcoats and SpotWerkes 2.1 V.O.C. 2K Urethane Primer Surfacer. Available in gallons only.